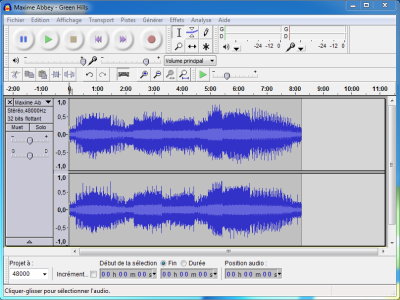 Audacity is the GIMP of audio editing. It can handle many audio editing tasks for free on a large number of systems. Even if its features are far from being those from the biggest audio editing software such as Adobe Audition (previously known as Cool Edit), Audacity is a mandatory choice for any basic audio editing need, being either cutting, merging, reencoding, moving, stretching or applying filters on single or multiple audio tracks. Being open-source software, it is available for free on several platforms (Windows, Mac OS, Linux) and benefits from regular updates. As a valuable offering, it has even been used for huge tasks, such as music production, by several amateur and professional freelance musicians. Do you need a way to convert files in MIDI format into modules (MOD, S3M, XM, IT...)? Then go and download FineMIDI. It's the one and only MIDI to S3M converter I could find on the Web, and, while remaining free and easy to use, it has far more features than other similar converters: it can produce S3M files with up to 32 channels and 255 patters, automatically detect the tempo of a file, transform a mono MIDI files in stereo with effects, etc. Its biggest strength is its ready-to-use sample bank, so, unlike the others, it automatically detect the instruments of the MIDI files and automatically assigns to each one the corresponding sound from its bank, thus saving yourself from having to do it manually. FineMIDI is an excellent product you shouldn't miss! Special notes about this software: the author's contact data indicated in the software are now obsolete (from 1998): his name is now Eugene Ivanov (and not Peshekhonov) and his e-mail address is now ieugene@rambler.ru. He told me himself that this version of the software, 1.02, was the latest available, and will be the last, as he has no more time and motivation to update it. This software is hosted on this website. To download it, click here. FM-Song is a "tracker" software which enables you to compose music in FMS format for soundcards having an OPL2 or OPL3 FM chipset (like the AdLib ones or the oldest Sound Blaster). It comes with external tools that you can download from the download section on this site, or on the author's one.